My Guide Berlin is your local guide to eating in Berlin. Whether you are looking for an intimate, romantic dinner for two, or an memorable group dining experience, check out our listing for all the best restaurants, and cafes in Berlin. 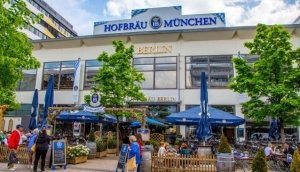 Berlin is home to around 5000 restaurants ranging from small take away stands churning out quick tasty low budget meals and snacks to Michelin Starred restaurants serving delicious modern meals in exquisite surrounds. Berlin is a very multi cultural city and no where is this more apparent than in the vast range of international cuisines on offer. Berlin has an abundance of Turkish, Greek, French, Italian and of course German restaurants, but you don't have to look too hard to find restaurants serving traditional and authentic Moroccan, Austrian, Burgers, Mexican and Indian cuisine. Vegetarians are also well catered for in Berlin with a number of exclusively vegetarian and vegan establishments.